At St Nicholas Primary School we believe a high quality geography education should inspire children’s curiosity and fascination about the world around them. The teaching of geography should equip children with knowledge about diverse places, people, resources and natural and human environments. As they progress, their knowledge of the world, its processes and environments, will develop. They will begin to understand how its features and landscapes have changed over time. 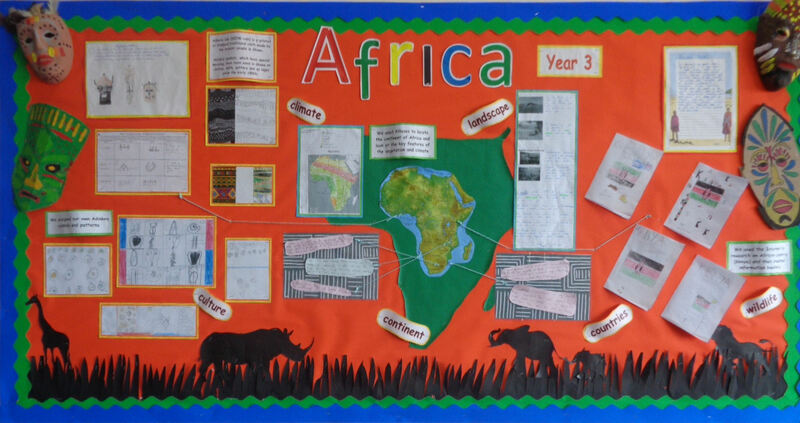 At St Nicholas Primary School, we teach geography using a topic approach. We start with an overarching theme that engages the children. This same approach is used throughout KS1 and KS2. This learning is continued outside the classroom where we have links with the local community which help us to give the children first hand experiences. At St Nicholas we follow the national curriculum programmes of study. We then develop our own creative, topic planning using a progression of skills document to ensure that our curriculum is progressive. We teach the key aspects of geography including locational knowledge, place knowledge and geographical skills and fieldwork through this topic style approach. Key Stage One - Pupils will develop knowledge about the world, the United Kingdom and their locality. They will understand basic subject-specific vocabulary relating to human and physical geography and begin to use geographical skills, including first-hand observation, to enhance their locational awareness. Key Stage Two - Pupils will begin to extend their knowledge and understanding beyond the local area to include the United Kingdom and Europe, North and South America. This will include the location and characteristics of a range of the world’s most significant human and physical features. They should develop their use of geographical knowledge, understanding and skills to enhance their locational and place knowledge. Geography work will be recorded in the children’s topic books. This may take the form of written work, drawings, annotations, paintings, maps or drama. Teachers assess children’s knowledge, understanding and skills in history by making observations of the children working during lessons and by looking at the work produced at the end of the lessons. Children will receive both verbal and written feedback in order to aid progress in the subject. Collaborative work in geography develops mutual respect for the differing opinions, beliefs and abilities of others. They learn to appreciate the value of similarities and differences and learn to show tolerance. A variety of experiences teaches them to appreciate that all people – and their views – are equally important.